Board Director: As part of the launch team of “The Late Show with Stephen Colbert,” Meredith served as an executive producer. Before that, she served as producer on “The Colbert Report” from its inception in 2005. Additional credits include: The Rosie O'Donnell Show, VH1 Storytellers, MTV's Unplugged concert series, The Food Network and NBC's The Jane Pauley Show. She’s a two-time Peabody and Emmy winner, and a recipient of seven Producer Guild of America Awards, and 10 nominations. Meredith currently oversees production and post-production for all film, television, documentary, and short-form digital projects, at RadicalMedia in addition to managing their operations. She has run over 20 marathons, holds a degree in American History from Yale University, and has delivered a TEDx Talk on “The Power of Yes." Board Director: Kate holds a Bachelor of Science degree in accounting from Tbilisi State University and an MBA from DeVry University, with a concentration in Accounting and Financial Management. She is a certified Intacct Implementation Specialist, Certified Xero Partner and member of the American Institute of Certified Public Accountants at GSM Systems Holdings LLC. Kate is fluent in many accounting software packages, including Intacct, QuickBooks, Great Plains/Microsoft Dynamics, SAP, Financial Edge, Fund-EZ, MAS 90, Intacct, Xero, Bill.com, and Expensify and is an experienced project manager/implementer of Microsoft Dynamics AX 2012 (ERP). Kate primarily works with Kiwi Partners’ consulting team, performing Best Practices Reviews: performing system reviews and process re-engineering, accounting system selections and implementation, developing policy and procedure guides for clients and assisting management in developing full financial management accounting environments, as well as assisting clients in selecting technology options to automate accounting department processing. Since joining Kiwi Partners in 2016, Kate has worked with nearly two dozen clients; STUDIO in a School; Tri-State Transportation Campaign; Dwana Smallwood Performing Arts Center; JARVIE Commonweal Service; Hudson Square Connection; Congregation Beth Elohim; Brooklyn Children’s Museum; Center for Popular Democracy, MetCouncil, Tony Blair Foundation; Delivering Good; Pioneer Works Art Foundation, Wellspring Philanthropic Fund, David Lynch Foundation, Zionist Organization of America, HOPE Project; Civic Hall, New York Junior League, American Society for the Prevention of Cruelty to Animals. Board Treasurer: Todd is a finance and accounting leader with a strong focus on operations who has over 25 years of experience building and expanding brands. Currently Todd serves as the CFO of Shazam, the mobile technology that allows users to discover the music around them. Prior to Shazam Todd was the CFO of LionTree, a boutique mergers and acquisitions advisory firm in NYC. Previously he was CFO at Alloy Media and Marketing, a private equity backed media business. He has spent most of his career within the media pace at NBC Universal where he rotated through multiple divisions as CFO including NBC Universal Stations Group, iVillage and Cable Entertainment. He joined NBC from Universal Television Networks where he was involved in the merger of Universal Television into NBC Universal. Prior to his tenure with NBC, he was with Viacom for over ten years where he was SVP of Finance and Production Management for MTV. He holds a Bachelor of Business Administration in Marketing from Baruch College and a Masters of Science degree in Accounting from Long Island University. He is a graduate of the GE Experience Financial Leadership Program. Board Secretary: Brian is the Founding Donor of Six Beats and is an Investment Banker who currently oversees the Intellectual Property and Commercialization division of Candlewood Partners, a middle-market investment banking firm. For over 15 years Brian has worked with companies in a variety of diverse industries in the US, China, and India facilitating and negotiating their IP transactions. Brian is also the CEO of Premier Licensing International, which owns the digital, Internet and merchandising rights to many Hindi Films including. the Hindi cult classic and one of the biggest blockbusters in Hindi cinema, “SHOLAY”. Brian has also held executive positions with companies in the following industries: business consulting, software development, motion picture, and retail. He received his B.S. in Management with a major in Entrepreneurial Studies from Babson College in Wellesley, MA. Brian is a FINRA Registered Representative (series 7, 63, and 79) and has also served on the Advisory Boards of various companies. Board Director: Kevin has held numerous positions from Artist Development at EMI, and WMG, Director of Online Sales at Sony, Director of Business Development at Audible and several VP positions. Kevin possesses extensive business development and sales experience in both digital music and media distribution and experiences. A public speaker and published thought-leader in digital music space with his focus on online and mobile of "what's next" in business development, Kevin has a proven track record of cultivating strong, long-term relationships with senior executives and strategic partners at most major companies in the world of music and distribution. Companies such as Apple, Amazon, Sprint, Sony Music, Warner Music Group, Google, Universal Music Group, Vector Management, Verizon, Red Light Management, Nettwerk, Live Nation, Bose, Sonos, Huawei, Virgin Mobile, Boost Mobile, Fitbit, Fossil, NBC, Anheuser Busch, American Eagle, Napster, Hulu, Netflix, Rhapsody, T- Mobile, Microsoft, Coke, Samsung,American Cancer Society, NBA, Musical.ly, Smule, Slacker, Spotify, Pandora, Deezer, 8tracks, Facebook, and Twitter. Founder/Board President: The man behind the camera, the visionary behind Six Beats and founding board member. Raised in N.Y.C., Jason from a very young age was impressed by sincerity, compassion & any attempt at genuine expression. He began to harbor a burning desire to create something that would move the world in the same positive way that the world of art music and N.Y.C. itself moved him. Schooled at N.Y.C.’s S.V.A. Jason was taught black and white printing by Beverly Nadelman, the once darkroom assistant to famed photographer W. Eugene Smith. He went on to aide in productions for still photographers, and on set as a production assistant on various TV commercials. He once photographed over 2500 individual portraits in one year. Whether preparing images for screen or as physical prints, Jason strives to live up to the heritage in whose footsteps he follows. Jason's palate is comprised of a set of rules of engagement for his craft that yield images undeniable in their ability to connect the viewer to the subject. Advisor: Dzana is the former CEO of School Of Rock, prior she served three years as COO of Goddard Systems, a franchised educational services company. She has earlier CEO tenure in franchised educational services, with two and a half years as CEO of Huntington Learning Centers and over five years as CEO of Futurekids Computer Learning Centers. Entrepreneur Magazine hails her as one of “3 Women to Watch in the Franchising Sector”. Beyond her industry and CEO experience, Dzana excels at penetrating new markets, accelerating market share expansion, and increasing revenue. Yielding extensive general management experience, directing business development, marketing, sales, financial reporting and operations as well as her vast experience in retail, public and private education institutions sales, and state-wide contracts and content adoptions, Dzana is a goldmine of information and experience on tap for Six Beats. Dzana is also a classically trained pianist who has also played rock/contemporary music and sang in clubs. Advisor: Elizabeth is the founder of Edge Music Network, a unique music video experience which rewards viewers for watching live and on-demand music videos, concerts, and events. Fans earn points for viewing premium content and gain access to exclusive events, merchandise, and offers. Elizabeth has a strong working knowledge in content licensing and distribution which she has utilized to pave the way for Edge Music Network to acquire the content libraries of some of the largest music publishers in the world. In addition, Elizabeth has architected and brokered digital rights agreements between content creators and publishers to ensure equitable revenue share and royalty distribution. She has worked with industry leaders to fight for fair compensation structures to keep the music alive. Elizabeth’s advisors at Edge Music Network include Steven Tyler of Aerosmith, and Roger Daltrey of The Who. Her pioneer vision, is formidable as is her dedication to lending her guidance and expertise to Six Beats. Advisor/Co-Director: One of the most influential and successful music video and live event Directors in entertainment. In his over 20-year career as President, CEO, and Founder, of The City Drive Group, an award-winning film, TV, and digital production company, Daniel has produced and directed more than 250 music videos, 100 DVDs, and 100 web series & documentaries. Daniel's credits include: “Foo Fighters-Live at The Acropolis”, “Alicia Keys-Live from NYC”, “Kings of Leon-Live from Memphis”, “Andrea Bocelli-Live from Florence”, "Mariah Carey-Live From Central Park", “Alter Bridge–Live From Wembley”, “The Black Eyed Peas at the 2008 Democratic National Convention”, “Rage Against The Machine–The X Factor Concert-Live From London 2010”, “Creed-Live”, “Nickelback-Live From Sturgis”, “Steve Miller Band-Live From Chicago”, “Rush In Rio”, “Matchbox Twenty-SHOW A Night In The Life Of”, “Dave Matthews Band-Live in Central Park”, "Godsmack-Changes", “The Smashing Pumpkins-If All Goes Wrong”, “Duran Duran-Live From London” and "Usher-8701 Evolution Tour.” He was an Executive Producer on the 2014 Academy Award-nominated film "The Square", which won the Audience Awards at the 2013 Sundance and Toronto International Film Festivals. The film also won 3 Emmy Awards in 2014. In 2014 Mr. Catullo was Executive Producer on the Documentary "Alive Inside" which won the Sundance Film Festival Audience Award and various other Festivals in 2014. Additionally, Daniel has won and/or been nominated for over 100 International Awards including Grammy, Telly, Golden Eagle Cine, JUNO, Webby, Classic Rock, Emmy and RIAA Awards. He is an active voting member of the National Academy of Recording Arts and Sciences (NARAS- the GRAMMY awards), Los Angeles Chapter. Advisor/Publicist: Danny Deraney has been a leading Los Angeles-based Public Relations Executive for over a decade. Named by the The New York Observer as one of the top celebrity crisis communications experts and publicists in the county. He has worked on a variety of campaigns for several brands and celebrities over the years. They include Justin Timberlake, Jay-Z, Beyonce, Madonna, The Rolling Stones, Ozzy Osbourne, Gene Simmons, Tony Winner Laura Benanti, Oscar Winner Mira Sorvino and more. During his tenure with Laura Benanti, Deraney PR garnered over 4.2 billion in media impressions in just 4 years for the Tony Winner. PR agencies that routinely rely on Danny include Edelman, Rogers and Cowan, Golin Harris and Sunshine Sachs. Danny has also been called upon from various organizations and clientele for crisis communication campaigns, including for Universal, Casey Kasem, and the Kasem family, Paris Hilton and Dan Marino. He is often sought for analysis and has been featured in/on CNN, Salon, Variety, The Associated Press, People Magazine, The Hollywood Reporter, CBS News and The Wrap. As a member of Theater community, he has worked on a variety of Tony-winning productions, including most recently, Steve Martin’s Meteor Shower (with Amy Schumer, Keegan Michael Key and Laura Benanti) and She Loves Me. Additionally, Danny is a vocal ally for women’s and human rights and has worked closely with various organizations to champion for those who need a voice. He's worked alongside the likes of clients such as Equal Rights Advocates (ERA), Jen Siebel Newsom’s Representation Project and various projects with Oscar Winner Mira Sorvino, Frances Fisher, Rosanna Arquette and more. Advisor: Jeffrey connects brands with their audiences by distributing their content via voice technologies such as Alexa, Siri, and Google Assistant. More than 2% of all Alexa Flash Briefings available have been developed by his team, earning him the name “Alexa Guy.” in less than a year. Jeff has also developed smartphone apps and high-end web applications, as well as devised marketing and digital campaigns for a variety of clients, including Warner Bros, Columbia-TriStar, Kingworld, A&E, History Channel, Baylor University, Fox, 20th Television, Paramount/CBS, NBC/Universal, and others. Additionally, Jeff has written and directed commercials for clients including McDonald’s, Panasonic and Sony. Jeff is also responsible for having created new avenues for promotion of existing properties, including Looney Tunes, Jeopardy and Wheel of Fortune, and he is known for his extensive work on the web community launch of Everybody Loves Raymond. Advisor: An appointee of President Obama to the President's Advisory Committee for the Arts for The Kennedy Center. Rusty was the Coordinating National Co-Chair for Technology for Obama. 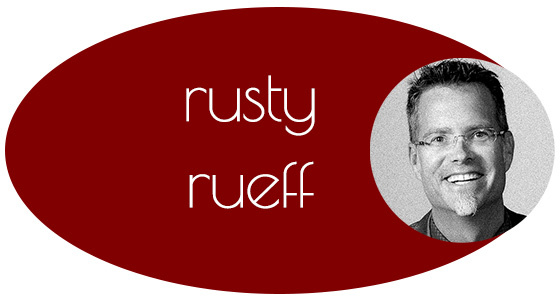 Some of the positions Rusty has held include CEO of SNOCAP, EVP at Electronic Arts, VP of International Resources at Pepsi Co. Rusty serves on the board at Glassdoor, and 1-Page, and is President, Board of Trustees American Conservatory Theater, and The GRAMMY Music Education Coalition. He is a member of the Academy of Television Arts & Sciences (ATAS) and also the co-author of Talent Force: A New Manifesto for the Human Side of Business. He holds an M.S. degree in Counseling, and a B.A. degree, in Radio and TV from Purdue University. In 2003 he was named a Distinguished Purdue Alumni. He and his wife are the named benefactors of Purdue’s; Patti and Rusty Rueff School of Visual and Performing Arts. Advisor: Multi-Grammy nominated producer, Chris Craker has produced over 450 classical, jazz, soundtrack, and pop recordings. He recently produced the soundtrack for Director Christopher Nolan’s movie “Interstellar”, with the Oscar-nominated score composed by Hans Zimmer, As a respected producer, manager, pundit, and performer Chris is responsible for selling tens of millions of records, and helping to shape the careers of literally hundreds of artists. Chris was GM and SVP of the International Division of Sony BMG Masterworks, in both London and N.Y. until 2008 when he resigned to set up Karma Sound Studios. Karma' guests have included: Jimmy Page, Placebo, Jamiroquai, Bullet For My Valentine, Wyclef Jean, and others. Internationally renowned for his work with the London Symphony and New York Philharmonic Orchestras, Chris has also been responsible for either producing and/or marketing recordings by some of the world’s greatest classical artists such as Murray Perahia, John Williams, Yo-Yo Ma, and Joshua Bell, He has either played on or worked in a marketing capacity for recordings featuring Elton John, Sarah Brightman, Celine Dion, Tony Bennett and Alan Parsons amongst many others. Advisor: Randy is a marketing and leadership development professional with substantial business to business, nonprofit and personal branding experience. A builder of teams and company cultures. Randy’s areas of expertise are nonprofit management, nonprofit fundraising, corporate culture, marketing, social media, franchise systems operations, customer experience, branding, event planning, publicity, training, personnel management, leadership development, product research, product development, product management, and business systems management. He was COO at Alpha Graphics, and Director of Franchise Services as well as Vice President of Business Development at Firespring. He is currently the Executive Director at Nonprofit Hub, a community built to help nonprofits achieve more through collaboration and education. He oversees the content strategists of its online magazine which has been visited by over 2.5 million since its inception. Advisor: Russell is a maverick in the world of entertainment media, whose skills and accomplishments in regards to content development, digital marketing, deal licensing, and artist development are noteworthy. Russell has managed global digital campaigns and brand partnerships for artists including Drake, Justin Bieber, Ariana Grande, Bon Jovi, Lil Wayne, Jay–Z, Kanye West, Rihanna, Pearl Jam, and DJ Khaled. Russell served as Senior VP of Digital Commerce and Marketing at Universal Music Group: Island Records/Def Jam Recordings/Republic Records, for over 8 years, and increased their global market share to #1 for 3 straight years. Russell also served as Senior Director of Digital Sales and Marketing at Sony Music Entertainment for over 6 years where he was instrumental in launching careers of multiple artists achieving Gold, Platinum and Multi-Platinum status. Russell also wrote, produced, and edited TV commercials, infomercials, electronic press kits, and music videos, all while working closely on front and back-end marketing, and financial reporting. Currently, Russell is the Executive Producer and Chief Content Officer, at 124 Media Studio, a boutique music and multimedia content and consulting company, where he has a new television show in development called The Music Show, which brings together today’s hottest hit-makers and icons with tomorrow’s stars. Chief Audio Engineer: Bill has over 30 years of experience in sound engineering encompassing everything from recording studio design and build, to engineering and production. Bill has recorded sound on location and in-studio for TV commercials such as: JetBlue, HP, Vogue, BudLight, AMC's The Walking Dead, Bank of America, Dove, Kettle One Vodka, Nickelodeon, Campbell's, Doritos. and films like: Bad Moms, Passengers, High Strung, Pitch Perfect 3, Gimmie Shelter, Documentaries such as: Wu: The Story of the Wu-Tang Clan, Diller Scofidio + Renfro: Reimagining Lincoln Center and the High Line, and TV shows and spots such as: Property Brothers, Chow Masters, Victoria's Secret Fashion Show, Jennifer Lopez: Her Life, Her Journey. Bill's range of experience, and mastery of all facets of audio engineering and sound design from studio to location, spoken word, to full band mixes, ensures that whether it is a Facebook Live Broadcast, a celebrity guest appearance jam session, or a full-fledged episode, Six Beats will sound as good as it looks. ►Put your skills to use in the most impactful way possible. Your efforts will positively affect the lives of millions people in the first year alone, for an ever expanding portfolio of the world’s causes.